my Japanese friend, Keiko-san, proposed that she can teach me how to cook some Japanese dishes, when she found out I have a blog. of course, i was thrilled and couldn’t wait for the cooking together experience. even though i lived in Japan, i hardly ever cooked Japanese food. i suppose it’s partly because i didn’t have anyone who would be willing to teach me. 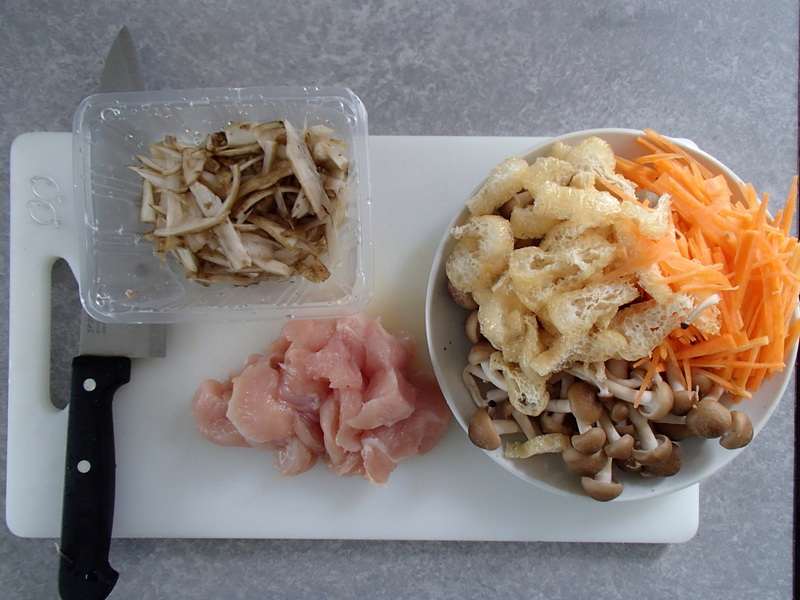 Keiko-san’s idea was the more appealing, as i really wanted to learn how to make at least some of the Japanese staples. we ended up spending all day together, cooking. the day started off with shopping for the ingredients, explaining recipes and, of course, finally cooking it all. Keiko-san was the master chef: cooking everything, explaining, step by step, how to make each dish. takikomi gohan, which literally means cooked (mixed) rice. the dish is quite simple, but so very delicious. perfect for any time of the year, but (in my humble opinion) it tastes best in the autumn and winter. 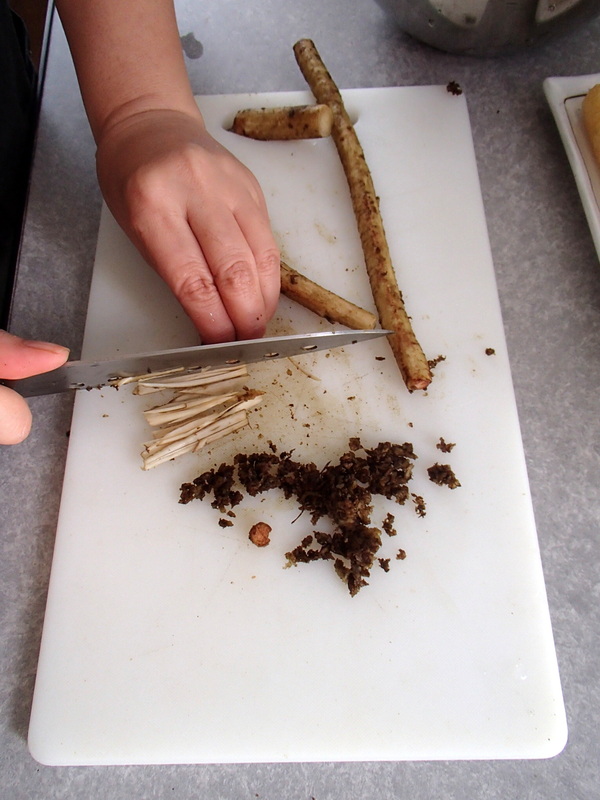 there is something velvety and earthy about a burdock root, what makes you warm and comforted. 1. Rinse the rice under running water. The water will turn a milky white color. Drain the cloudy water away and add fresh water, and swish the rice around again. 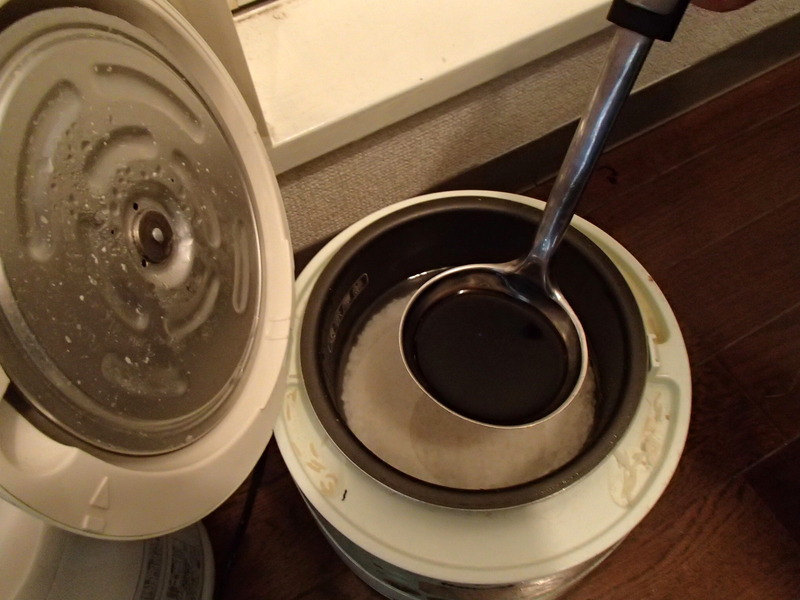 Put rice in a rice cooker or pot. Add water to the rice. At this point you should let the rice soak for a while. Soaking for at least 30 minutes to an hour is generally recommended. 4. 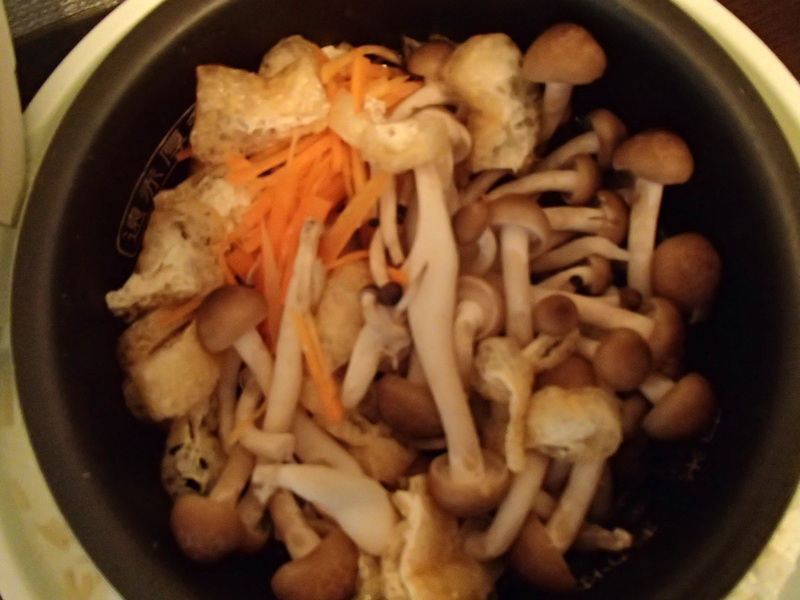 You don’t have to cut shimeji mushrooms. But you do have to cut the meat. Rather small pieces. 5. 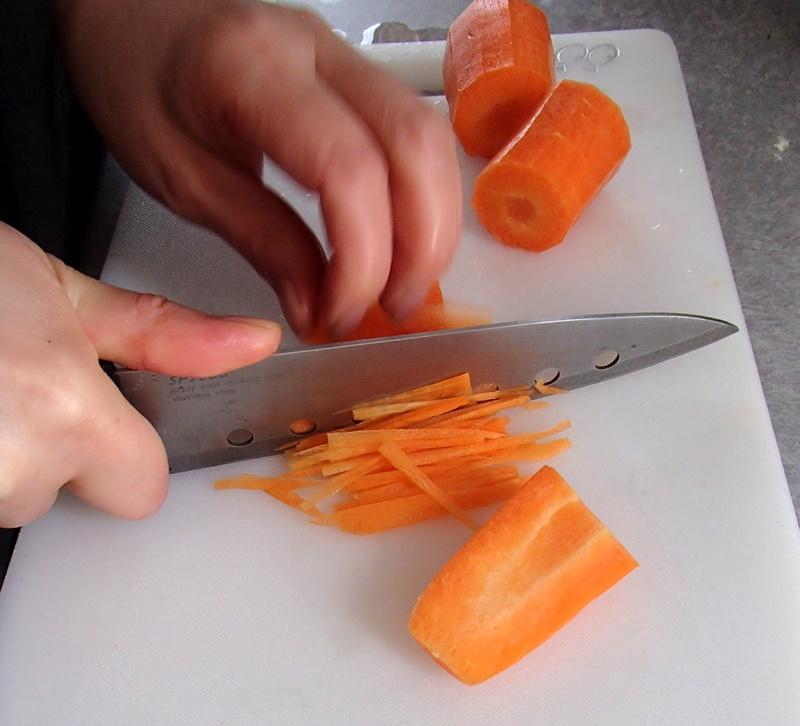 After you cut everything, rice should be soaked enough. Take out two ladles of water in which the rice was soaked. 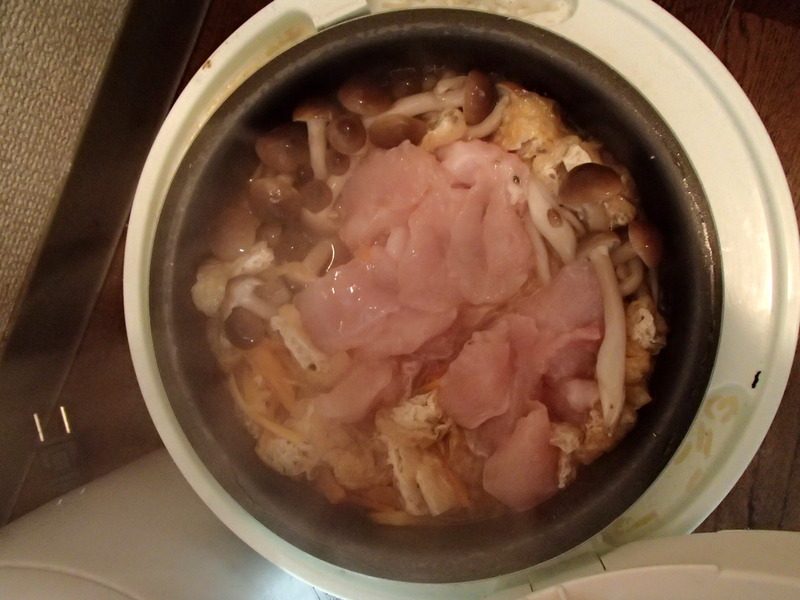 In place of the water we took out, add 1 ladle of soy sauce and 1 ladle of mirin. 6. After you add the seasoning, add the rest of ingredients except the meat. It could count as a main dish cause you’ll be full even after eating even a small portion. Do u mix the vegetables in with the rice or just place them on top? Then when the rice is steaming, add in the chicken? Thanks. Hmm… maybe it is difficult to buy shimeji but the rest? Burdock (korzeń łopianu) you can probably go into the old park or forest and dig it out 🙂 Fried tofu? I think you can buy it without any problems in any oriental store like Kuchnie Świata.